So, I’ve seen this around and have been hoping to be tagged (no shame! ), so I was very excited when Sara tagged me to do it! WARNING: My favorite type of music most of you will not like, but give it a try! I went a different route on this one. Not every song has lyrics and may still be amazing. What better song to choose for my last one than possibly one of my favorite songs from a soundtrack of one of my favorite series? The Battle from The Lion, the Witch, and the Wardrobe. This song is also my favorite scene in the entire movie. The story is heroic, adventurous, and entertaining. I wish they would complete the series and create movies of the other novels! No pressure if you don’t want to participate! If you want to be included in any of my future tags, let me know! If you want to be removed from any future tags, also let me know. If you want to do this and weren’t tagged, please do. Also, tag me back so I can see your answers! This was the first song that our beloved Avril Lavigne (for those of you 90’s babies) released in five years. No longer a Sk8er Boy punk rocker, Avril has converted to the Christian genre. Being one of very few female vocalists that I enjoy, of course, I loved this one, as well! Actually, probably more so than her more recent albums. What I really enjoyed about this song was that it isn’t the typical Christian song. It talks about the struggles that us humans have, but that just like everyone else, we, too, need help sometimes. It talks about having the strength to get through hard times with the help of God. So, for those of you who somewhat know me, you know that I love rock music, and no, I don’t mean alternative. Especially after growing up on AC/DC, Metallica, and Iron Maiden, how could I not? Eventually learning guitar didn’t help, either. Most people like or relate to a song based on the lyrics. Me, being the weirdo that I am, actually prefer a great guitar, and usually pay absolutely no attention to lyrics whatsoever (which has led to confusion when a guy sends me a cute lyric song) haha. Those of you who also know me, know that I am also super supportive of the military. Don’t bash them in front of me or you will regret it! haha What I really like about the lyrics of the song (yes, I do sometimes listen) is that it alludes to war and those serving. Never giving up and fighting for what you believe in. Speaking of tattoos, Alex Varkatzas, lead singer of Atreyu, actually is a tattoo artist! So, one of my life goals is to get a tattoo by him and FINALLY go to one of their concerts. A special thanks to Jess & Teagan @ Fiction No Chaser who tagged me! 🙂 Being a 90’s baby, I am biased, but I think it is THE BEST decade ever! Franny and Court. I think I may be just as confused as they are about everything. Considering my favorite character (Khal Drogo) has been dead since the first book/season, you can understand how I feel. Make me fall in love with someone and then abandon me to my sorrows, George! Not just once, but pretty much every time. Harley Quinn for sure. Smart in one instance, but she always has those one-liners or is in her own little world. Regardless, she makes me laugh! Both the book and the movie had me sobbing! Caroline is my favorite nosy, gossipy sister that is spot on with her assumptions, but her means of showing it were hilarious. The Great Gatsby– You all know what I’m talking about from high school. So, Jess & Teagan wrote down this answer and I can’t help but agree. Amy would be the friend you’d always on your side, but could flip the switch at any second. Hazel and Augustus are so cute! Sorry to be realistic for a moment, but the shepherds in this true story I will always remember. I think they were deceitful and were spared, but are so hateful towards Americans that they can’t see any of us as good. They played a part in killing people who did nothing to hurt them personally. Don’t even get me started. And anyone else that wants to do this one! What do you think of our choices? Would any of these make your 90’s Movie list? I saw this on someone’s blog (I don’t remember who) and had to do it! 1. Which book, most recently, did you not finish? Unfortunately (maybe fortunately), I can’t bring myself to DNF. Sorry I’m not sorry. It’s the Type A in me. 2. Which book is your guilty pleasure? 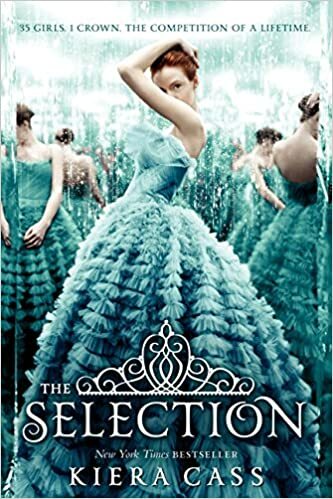 The Selection by Kiera Cass. It’s the literary version of the Bachelor (which I secretly can’t help but watch). 4. Which book would you throw into the sea? Life of Pi. I didn’t enjoy reading this in school. It was weird. 5. Which book have you read the most? Pride & Prejudice is such a light, easy read. I could read it every day for the rest of my life. And one of the few novels where I prefer the female protagonist over anyone else in the entire novel. 6. Which book would you hate to receive as a present? A self-help book. 7. Which book could you not live without? Initially, I was thinking Harry Potter, but I don’t really care for the last 3 books of the series. And I’ve read The Hobbit more times. 8. Which book made you the angriest? My Sister’s Keeper. Surprisingly, I enjoyed the movie ending better. This just made me mad! 9. Which book made you cry the most? There are times where you feel like your love is not enough for someone and it is a terrible feeling, no matter if you make them the happiest person alive. The feelings I felt were real in this novel and it takes me a lot to cry! 10. Which book cover do you hate the most? Hands down…this book. No questions asked. I saw this on RiverMoose-Reads and thought it would be a fun one! Call Me Maybe by Carly Rae Jepsen – This reminds me of college. Used this as a pickup line on a dare to someone who happened to be a Green Bay Packers player. Also, there was a charity event going on and they played this literally a whole weekend, so I will always hate this song. RX (Medicate) by Theory of a Deadman – I am not into drugs nor have never done them, and this is not my usual tune, but for whatever reason, I find it super catchy. Notorious by Adelitas Way – So I met the lead singer way back in the day before they were popular and appeared on the Bachelor. Good Times by All Time Low – So I NEVER liked this band growing up, but I really enjoy this song. It makes me happy. Live for the Drop by Capital Kings – Another…not my typical genre, but it makes me want to dance. I saw this on Kay Wisteria’s Hammock of Books blog. I can’t believe this year is already halfway over! Dance of Thieves – I received the ARC of this and am so exicted to read it! Plus, the cover is beautiful! The Beloveds – There was so much potential for this and it just completely fell flat. Wintersong series – I was expecting to like Wintersong and Shadowsong so much more than I did, but I found it disappointing. The protagonist had no respect for herself. Holly Black! – I loved The Cruel Prince and I can’t wait for The Wicked King! William Lytton from The Mayflower Bride – Talk about effort and chivalry. Joker from Dark Nights event – How could I not? Always has been and always will be my favorite villain. The Suspicions of Mr. Whicher – How about a book that made me cry because it was so horrible? Okayest Mom – This was a fun, easy, and happy read. The Darkest Minds – I haven’t read this yet, but just bought it and look forward to reading it before the movie comes out in theaters! I would have to say A Letter To My Ex. It is probably the most deep I will get on here and it felt so good after I wrote it down! Not That I Could Tell – This just looks like the perfect summer night!